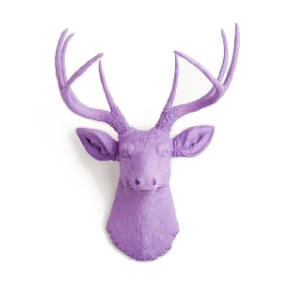 Give the gift of chic and trendy decor with this lavender faux deer head. A keyhole in the back makes for easy hanging and the antlers are removable for easy shipping. A great way to take a boring living space and make it unique!